dancer from the dance is a novel written by andrew holleran. it's probably my favorite book. i've read it so many times. is anyone else familiar with this gay masterpiece of a novel? i'd love to hear from those of you who know and love this book like i do. and are there still any queens like sutherland around today? 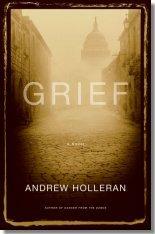 Andrew Holleran has a new book out that is supposed to be very good called "Grief". i love his work-isn't andrew holleran a pseudonym? So tell us about you young queen. What do you do? (want to do)? Do you dance at the dance? Then we'll get back to Helran Learnowd. Yes, those are absolutely my abs. If anyone on these boards tells you they are really the 17 year old abs of Tony Danza it's a lie! It's the 17 yr old Tony Danza salami that we're interested in. And read about Miss Destiny. Now, there's a queen to emulate! about me: to sum up my life's situation up to this moment-lots of pontential but no opportunities! i live in the NC boonies as some of you might know who have read my profile. it's just SO dead out here darlings-southern living-is highly overrated. i would love to get a nice job and a mediocre apartment in a gay mecca. if anyone has any ideas about any job opportunities in such places please let me know! P.S. darlings-i am also looking for people who need roomates in the big gay cities-you know- someone who can show me the ropes as far as city life. that's the very thing i need. i think i'd make a wonderful roommate-i am ridiculously easy to get along with.if anyone has any questions or proposalsmy email isbeautifuladvent@yahoo.com thanks! Own Dancer from The Dance and LOve It, I love Sutherland, It explains why queens love to dance and listen to dance music (OK not all the time mind you and not everyone, but some of us still go dancing, admit it you know you do!) Hatches Love City of Night, Miss Destiny is fierce! i am totally not exaggerating when i say that DFTD totally changed my out look on life and on being a gay man. and what an opening line! "Ecstasy, its finally spring down here on the chattahoochie, the azaleas are in bloom and everyone is dying of cancer"
and i have long since read city of night. loved it as well. but i was wondering---is fire island the hotspot it once was back in the day for partying and drugs and hedonistic celebration or has it since burned out? I liked Nights in Aruba, but not quite as much, probably because I so loved the mostly east village setting of DFTD. Since then, I have read his others and all were just as great (different, quieter, but just as great): Ground Zero, Beauty of Men, In September, the Light Changes (this will blow you away it is so good--esp. the story "Joshua and Clark" which completely nuked me it was that good and that heartbreaking) and Grief. So, please, if you (or anyone else) are still interested in talking about him, you have my ear. Another one to consider if you haven't already: Alan Hollinghurst's The Line of Beauty, but that's another thread.